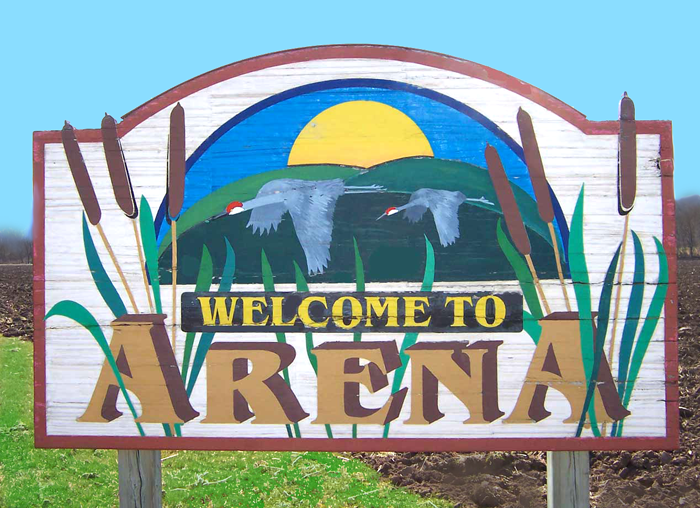 Arena, Wisconsin, is a village in Iowa County that is home to about 850 people. It is situated along the Wisconsin River in the southwestern part of the state. Rolling hills, woodlands and occasional Cambrian sandstone formations create a scenic backdrop for diverse recreational pursuits. Native Americans traveled the large waterway now known as the Wisconsin River for many centuries. The discovery of lead deposits in southwestern Wisconsin drew miners to the area beginning in 1827. For the next few years, miners, mostly from England, poured into the region. As the mining boom subsided a few years later, lumber and agriculture became the dominant pursuits. Governor Dodge State Park is a premier state facility that offers swimming on both Cox Hollow Lake and Twin Valley Lake. Hiking trails abound, including a special one that runs through a narrow gorge. Boat rentals are available on Cox Hollow Lake, although no motorized boats are allowed. The beauty of the area is punctuated by the driftless rock formations. Rock climbers tackle some of these formations. The park also offers a waterfall and even a few caves. Those that buy Arena real estate will have this special park close by. Arena is a filled with rolling greens and open spaces. 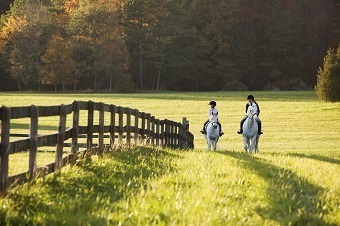 Many of the Arena residents take advantage of the beautiful Arena, WI landscape and enjoy equine activities. There are many equestrian or horse properties available in Arena as well as stables and ranches for those looking for boarding or care. Canoe outfitters offer trips along the part of the Wisconsin River that runs past Arena. The last 100 miles of the lower part of the river consists of mainly gently flowing waters. Much of the shoreline has protected status, so it is truly possible to "get away from it all" here. The area has been called "The Land of a Thousand Isles" because of the number of sandbars found along the way. Campers can pitch their tents on most of these sandbars without the need for a permit. Nearby is the House on the Rock, one of the more unusual attractions anywhere in the Midwest. Visionary Alex Jordan created endless fanciful and fascinating displays that include what is claimed to be the world's largest carousel. The Infinity Room extends far out from a rock outcropping as it appears to defy gravity. The complex also includes a resort and 27-holes of golf that has been rated at 4.5 stars by Golf Digest. Those that purchase Arena WI homes will have the option of attending classic plays performed outdoors at the nearby American Players Theatre. Plays written by William Shakespeare and other famous playwrights are staged out under the stars in an amphitheater that seats over 1,100. The prospective Arena home buyer will find dozens of Arena homes for sale at any one time. These Arena properties will include century-old frame homes in town which are modestly priced. There are also homes for sale in Arena that are nestled in the surrounding hills and woodlands. We can also show newer Arena homes with modern amenities. 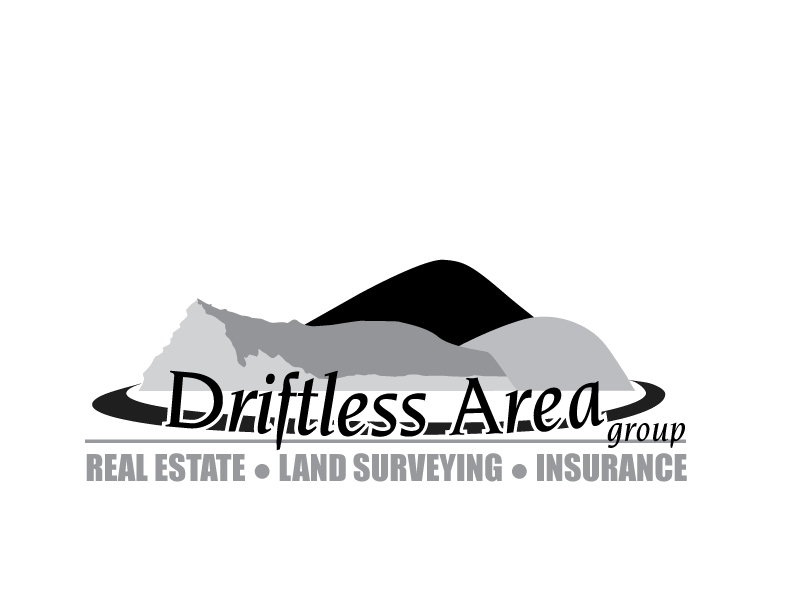 Whatever Arena WI real estate one looks at with the assistance of an Arena Realtor, it will all be located in proximity to the opportunities found around nearby Dodgeville and Spring Green. Don't forget that the real estate in Arena also includes great land parcels that offer possible "dream home" locations.